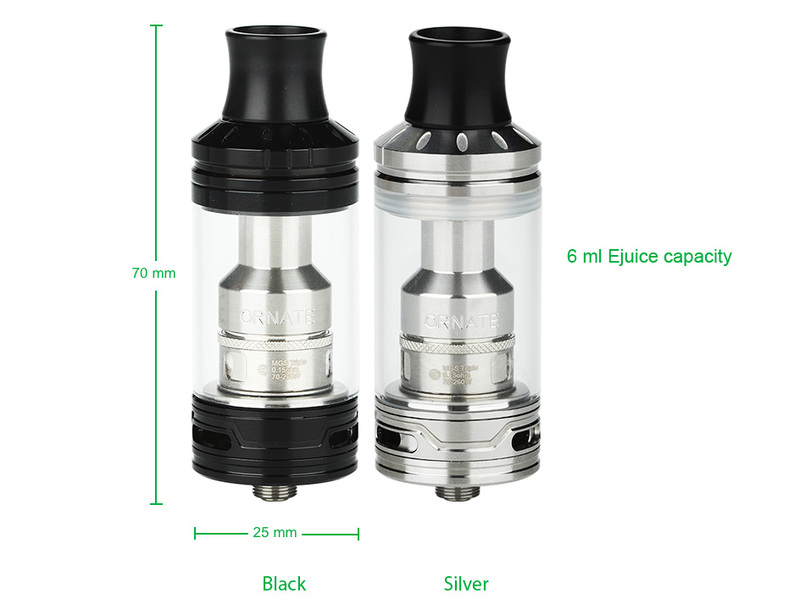 Detailed with the styling of Neo-Georgian architecture, the Joyetech ORNATE Atomizer features new MGS heads, easy top filling, large bottom airflow inlet, detachable structure and 6ml huge e-juice capacity. 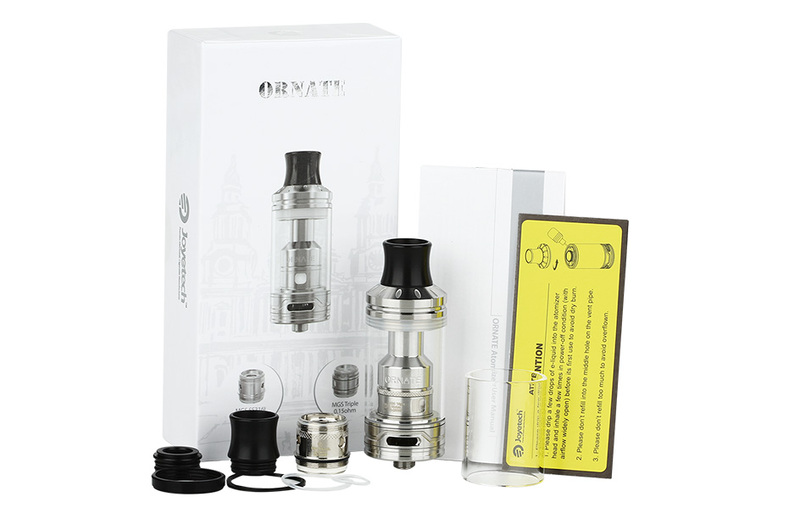 The ORNATE will bring large clouds and great flavor to you. Available in black and silver. You can buy MGS Triple 0.15ohm head and MGS SS316L 0.15ohm head separately.